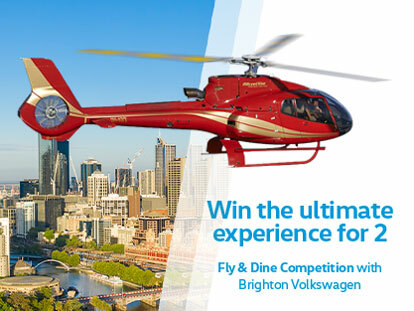 Buy your new car from Brighton Volkswagen between 1/04/19 – 30/6/19 and enter the funniest, craziest picture of you and your new vehicle to WIN the ultimate experience Fly & Dine with Brighton Volkswagen Competition! The prize, a Helicopter ride for 2 from Moorabbin to Crown Casino dining at the exceptional Atlantic restaurant. Competition entries are accepted from 1st of April 2019 up until 30th of June 2019 6PM. The winner will be announced on Tuesday the 9th of July by 6PM and will be contacted by phone and email. All photographs entered in the competition will be used by Brighton Volkswagen marketing and publicity in our publications, on our website and in social media or in any third party publication. Want More Information? Enquire Here!